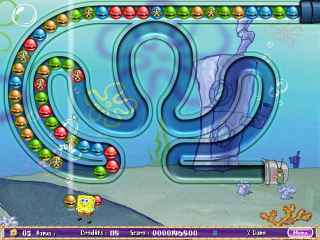 Free Download SpongeBob SquarePants Bubble Rush! Game or Get Full Unlimited Game Version! 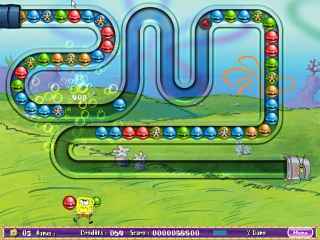 PC Games Home» Marble Popper» SpongeBob SquarePants Bubble Rush! Help SpongeBob deliver the Krabby Patties and keep them away from Plankton! In order to get advantaged of playing SpongeBob SquarePants Bubble Rush! full unlimiteg game version you must register the game. Mr. Krabs has created a machine that can build and deliver a Krabby Patty in half the normal time -- saving him tons of money! However, Plankton has overheard Mr. Krabs' plan and will stop at nothing to get his hands on a delicious Krabby Patty! Exciting and challenging typing games will help you to learn typing and keyboarding skills from SpongeBob SquarePants! Improve your typing speed and accuracy today! SpongeBob and Patrick must scour the sea floor, solving perplexing puzzles to recover the precious patties! Pop bubbles to collect colorful and exotic fish! Explore 6 reef locations while searching for the lost Atlantis!